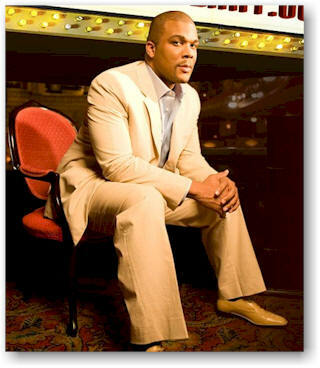 Tyler Perry's path from the perilous streets of New Orleans to the heights of Hollywood is a unique and inspiring version of the American Dream. Born into poverty and raised in a household scarred by abuse, from a young age he found a way to summon the strength, faith and perseverance that would later form the foundation of his award-winning plays, films, books and TV show, House of Payne. Tyler credits a simple piece of advice from Oprah Winfrey for setting his meteoric rise in motion. Encouraged to keep a diary of his daily thoughts and experiences, he began writing a series of soul-searching letters to himself -- reflections full of pain, forgiveness and, in time, a healing catharsis. Along the way, he spent a challenging period homeless, sleeping in seedy motels and in his car, but his faith in God and, in turn, in himself, only got stronger. Forging a powerful relationship with the church, he kept writing until his perseverance paid off, and the rest is history. Here, the prolific and versatile Renaissance Man shares his thoughts about his latest production, The Family That Preys, a movie which he wrote, produced, directed and co-stars in. KW: Hey Tyler, thanks so much for the time. TP: Hi Kam, good to talk to you again. KW: Where did you get the idea for The Family That Preys? KW: I love your work, and admire all that you've accomplished which always makes me wonder how your brain works differently from the rest of ours. TP: You know what I think it is? I just may be a little bit more inquisitive. For example, when someone tells me ’No,’ I ask ’Why?’ like I did with House of Payne which will be going into syndication on the 22nd of September. Originally, they told me that I had to shoot one show a week, because that's how it's done in Hollywood. But when I questioned that, nobody could tell me why. The same thing happened when they told me you could only shoot one movie per year. When I asked ’Why?’ nobody could give me an answer. So, I believe it's the inquisitiveness which breeds everything else that comes along with it. I just ask a lot of questions. KW: Do you see The Family That Preys as being more of a mainstream movie, or do you see it as appealing to your regular demographic? TP: I think it's definitely going to appeal to my same audience. But do you know what I was doing? I was just telling a story. 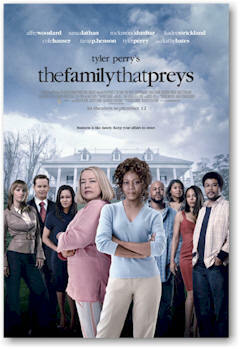 When I imagined the first two characters, I saw Alfre Woodard and Kathy Bates. And then when I started developing their relationships, all these kids came out of it. So, I didn't set out to go mainstream with this film. That wasn't my intention. This is just me telling a story. KW: We recently passed the third anniversary of Hurricane Katrina. Have you had an opportunity to go back to your hometown, New Orleans, lately to check on the progress of the recovery? TP: I have, and nothing's changed. Nothing's changed. The only thing different is that people are being evicted from those FEMA trailers. KW: Is there any question that no one ever asks you that you wish someone would? TP: Yeah, ’Can I pay for dinner?’ Nobody ever asks me that. TP: Certainly, there are times when I feel fear, but I don't live in it. I think as human beings we all feel fear, but I refuse to live in it. So, it doesn't last very long. KW: Have you ever been disappointed. TP: Certainly, I've been disappointed a lot. But you take your disappointments and you learn from them. If you learn a lesson from them, then you're okay, because as long as you're human there will be disappointments. TP: Yeah, I can honestly say I'm truly, truly, dancing and living my life. And I think this film was my catharsis to getting there. KW: Bookworm Troy Johnson asks: What was the last book you read? TP: I haven't read a book in a very, very long time, because when I'm writing I don't like to see other people's work. I don't want to see something great and not be able to use it, and I don't want to have any subconscious influences. So, it's been an extremely long time. I think the last book I read might have been Maya Angelou's Hallelujah! KW: Music maven Heather Covington asks: What are you listening to nowadays? TP: Everything from Lee Ann Womack to Jay-Z's 30's the new 20. TP: As a person who made people laugh, but inspired us all to be better. KW: What message do you want people to get from The Family That Preys? TP: That everyday is a gift. Life is short, so live it like it's your last. KW: Well, thanks again for the interview, and good luck with the film. TP: Thank you, my friend, and I'll talk to you soon.